Fort Medford is fenced in and has another playground attached the “J and I Samost” which is a wheelchair accessible playground that has a ton of stuff to do in every section. 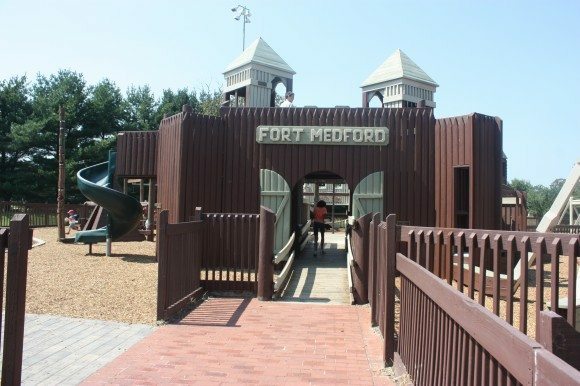 Both Fort Medford and the “J and I Samost” will keep children of all ages and abilities occupied for hours. There is also a wonderful covered pavilion located in the Samost. Parents, if your child needs to use the restroom be warned to bring the hand sanitizer. There was a building there that we thought housed the restrooms but it was not open and there were port o potties located next to the Samost. There is a small stage area in Fort Medford and an adorable puppet theater at the Samost. Be sure to bring your puppets along and watch your child perform for you. 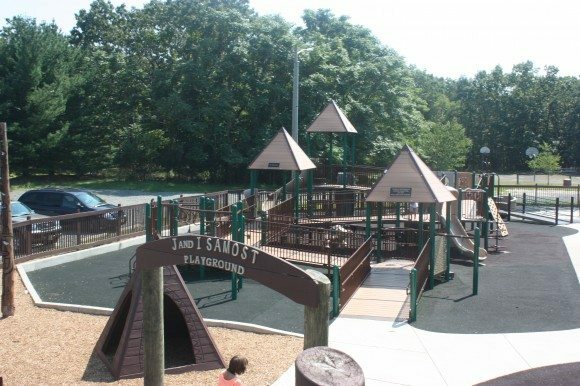 The Fort Medford Playground at Bob Meyer Park is located at Gravelly Hollow Rd off of Commonwealth Dr in Medford in Burlington County. 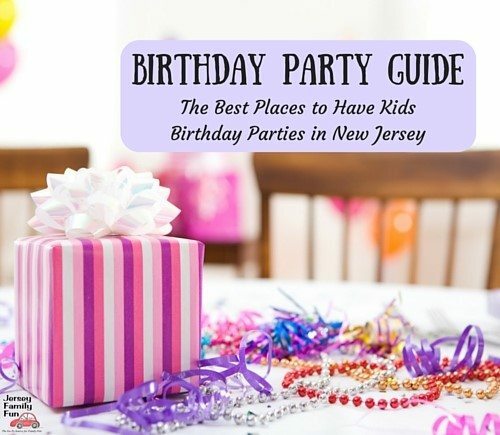 Want to find more fun places to play in New Jersey? 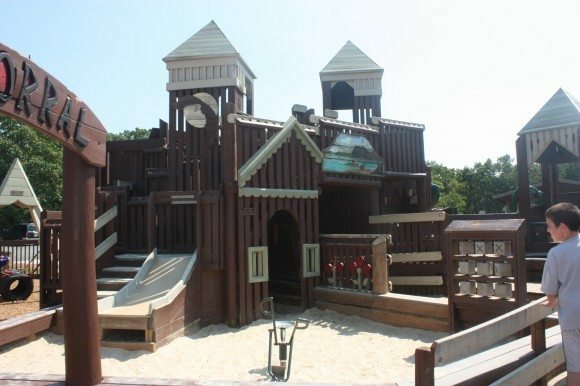 Visit our New Jersey Parks & Playground listing. See more Fort Medford-Bob Meyer Park photos in our Facebook Gallery.